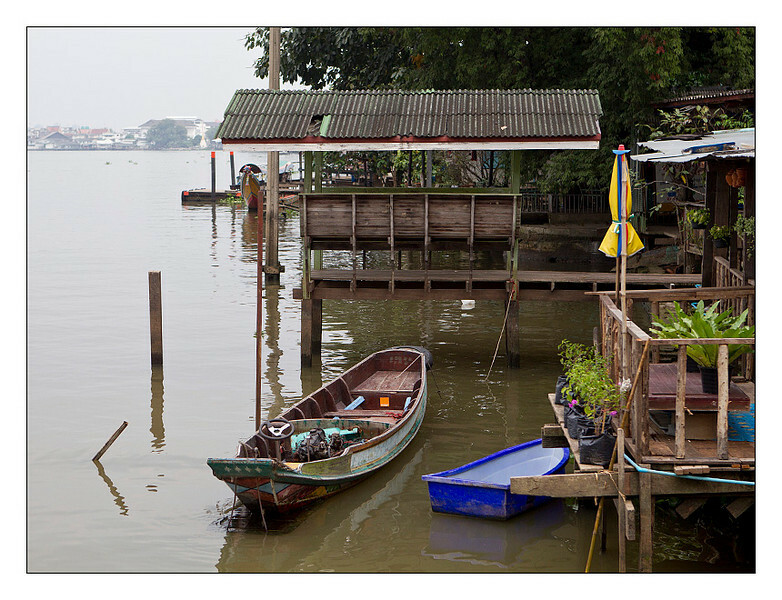 Today's itinerary was dictated by a single activity, an excursion via bike to the island community of Koh Kret. The driver picked us up early at our hotel and spirited us away to our meeting point where our bikes were fine tuned and we set off riding through the country. 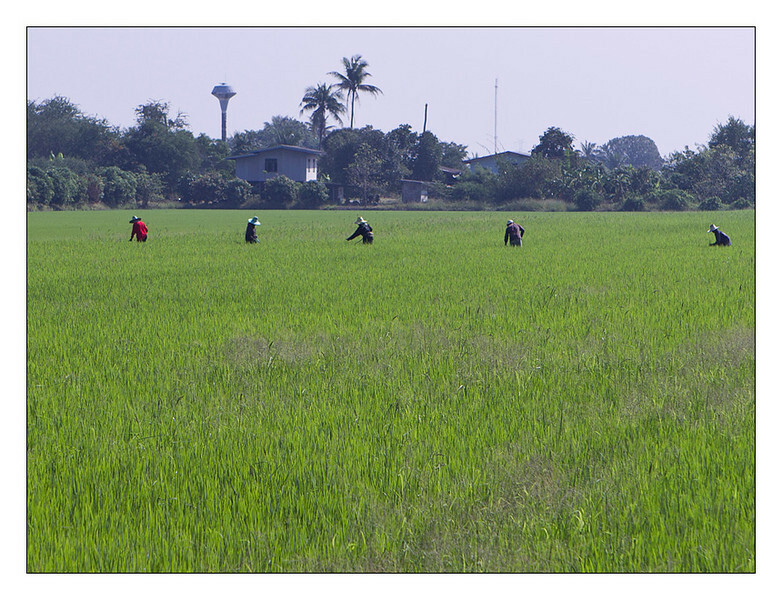 People working under the harsh noonday sun in the rice fields. A man in his mud/water vehicle plowing his rice paddy. 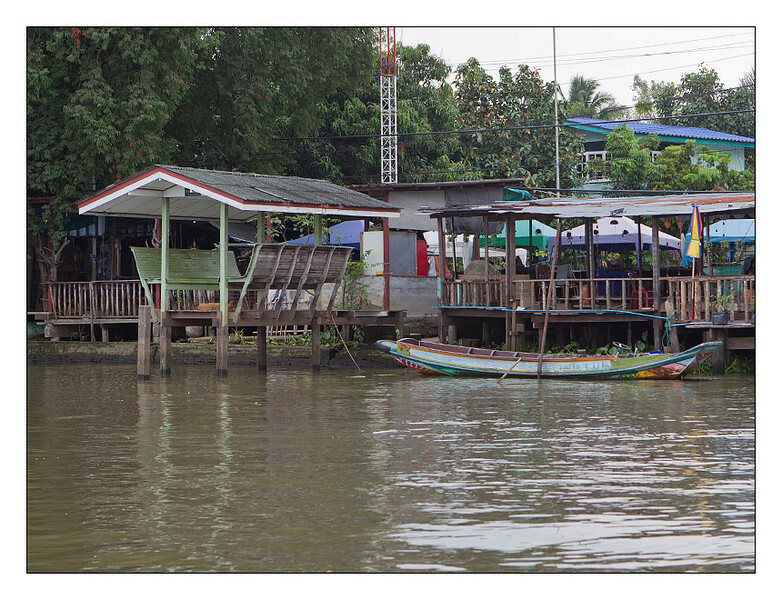 After a couple hours of riding and a stop for a nice traditional Thai lunch we arrived at the ferry that transports people to and from the island. 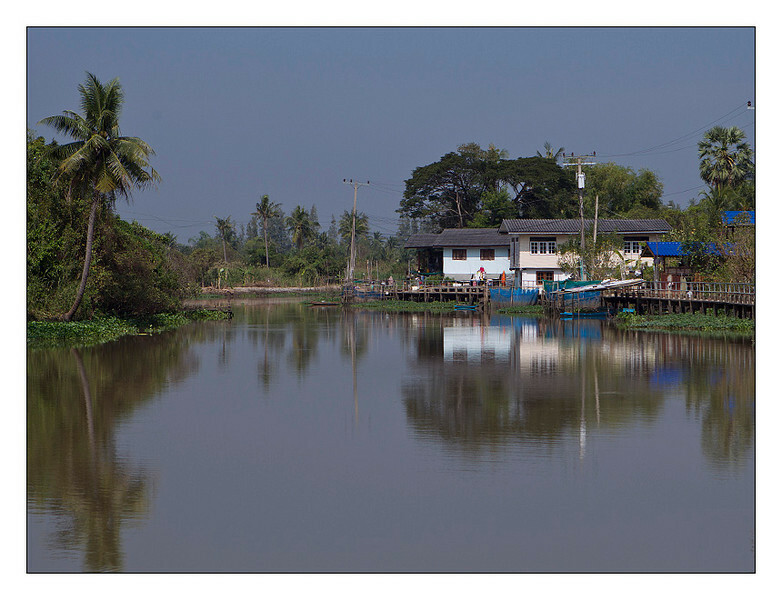 Because it is such a small community and the island is so prone to flooding cars are not permitted although there are a number of scooters zooming around. The island had flooded less than a month ago so many areas were being repaired while we rode by. 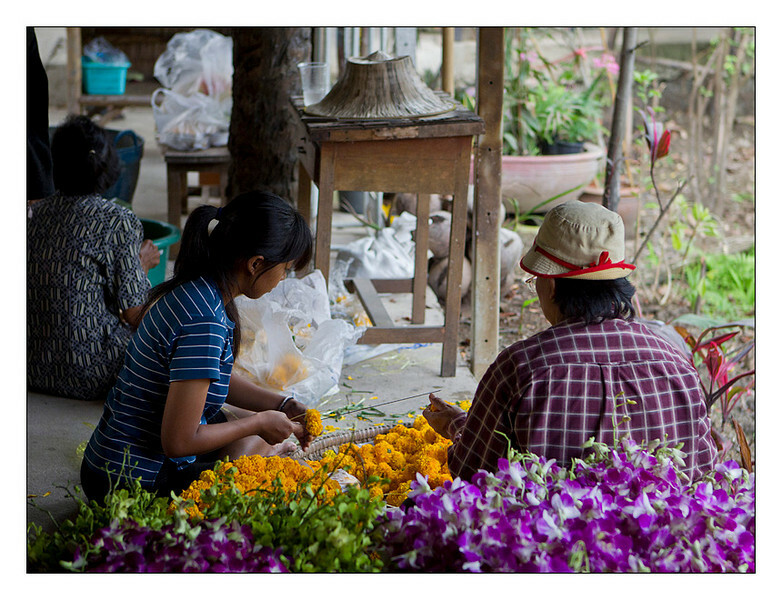 Undeterred by their bad luck, the women of the community were hard at work making flower garlands for an upcoming celebration. 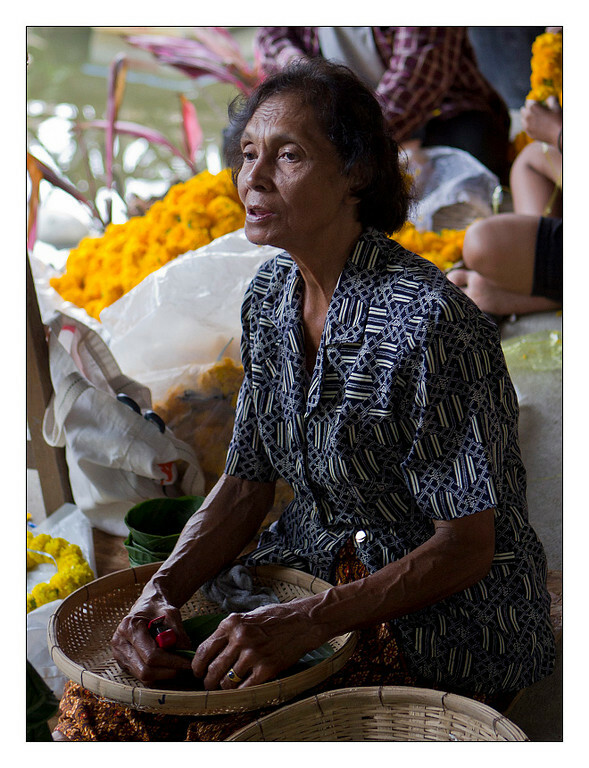 We also visited the artists who make the intricately carved pottery that the island inhabitants are famed for. 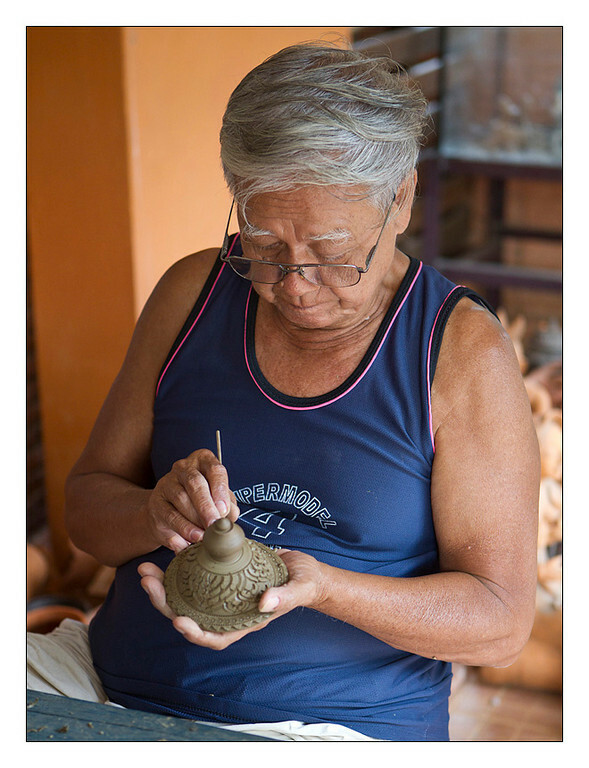 Every little detail is carved expertly by hand before the clay is fired in huge brick ovens. 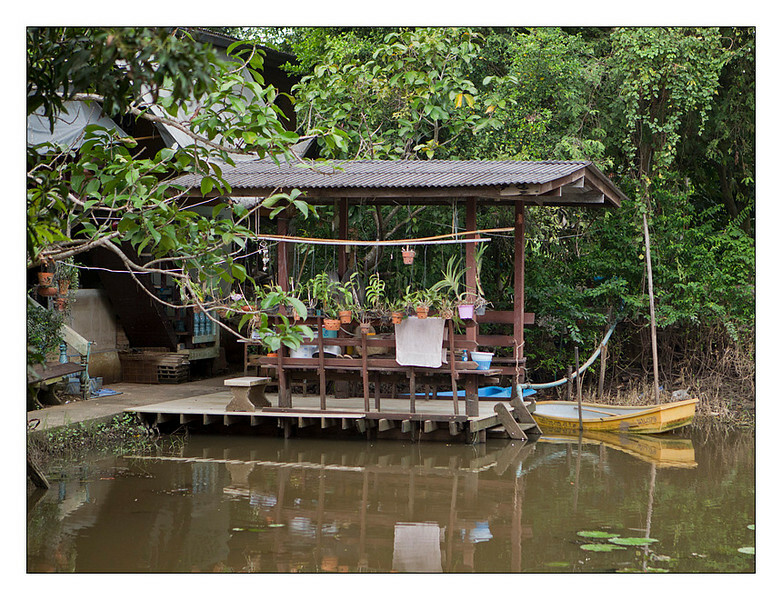 Almost all of the homes on Koh Kret are built on the water, either on the river or on one of the internal canals. Examples of rejected pottery due to cracks, discoloration or some other flaw. 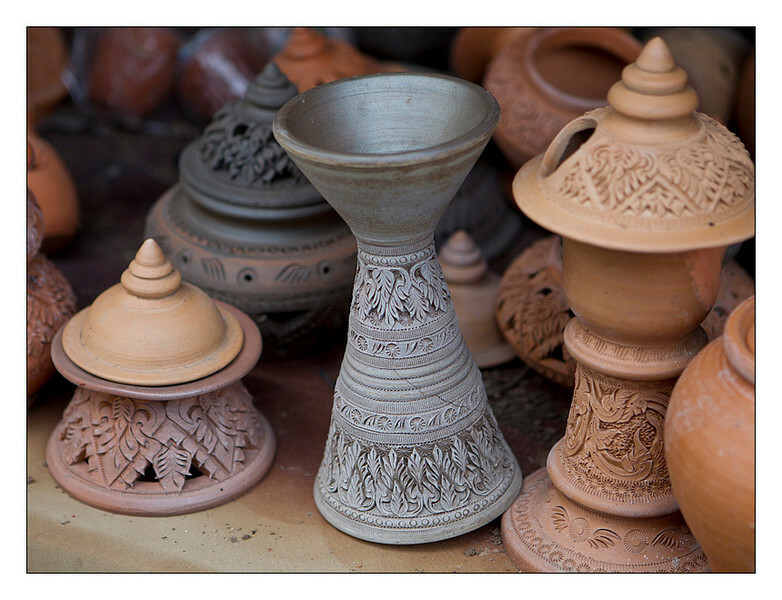 An artisan carving designs into clay. 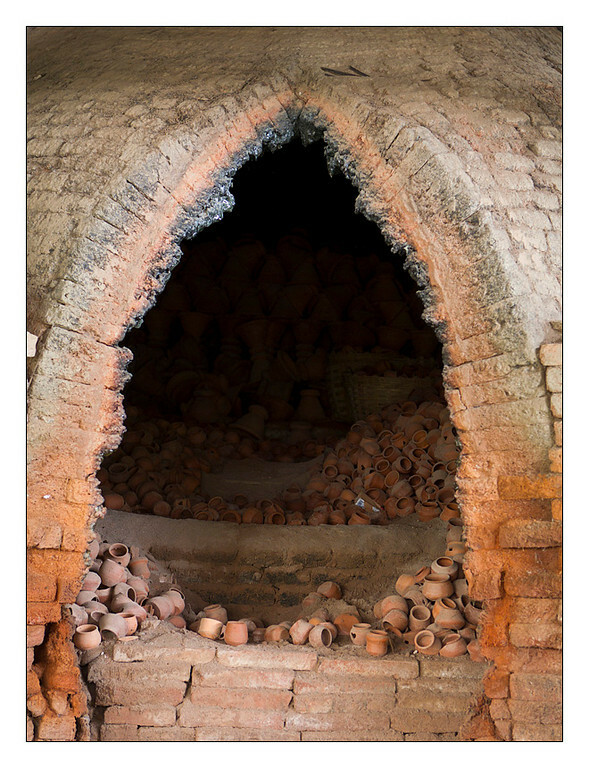 A old kiln no longer is use that is filled with discarded pottery. 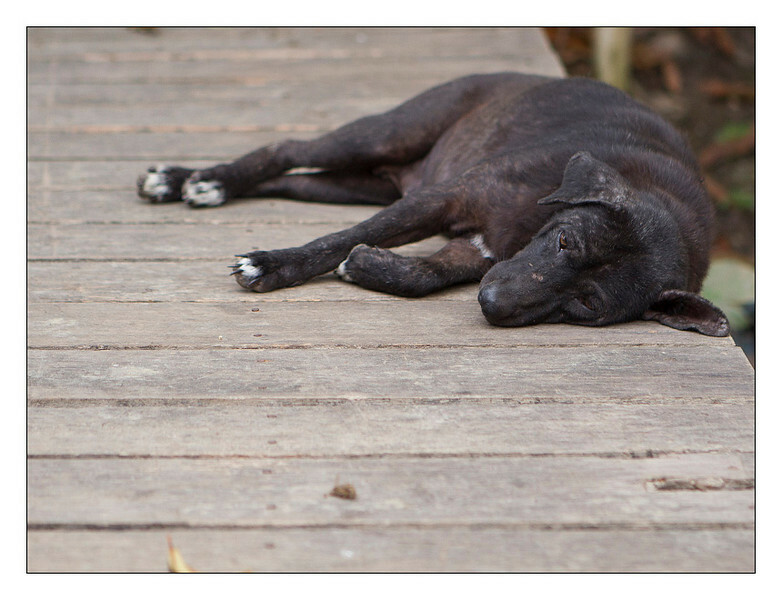 Like much of Thailand there are many dogs on the island many of whom have at least minor skin conditions. 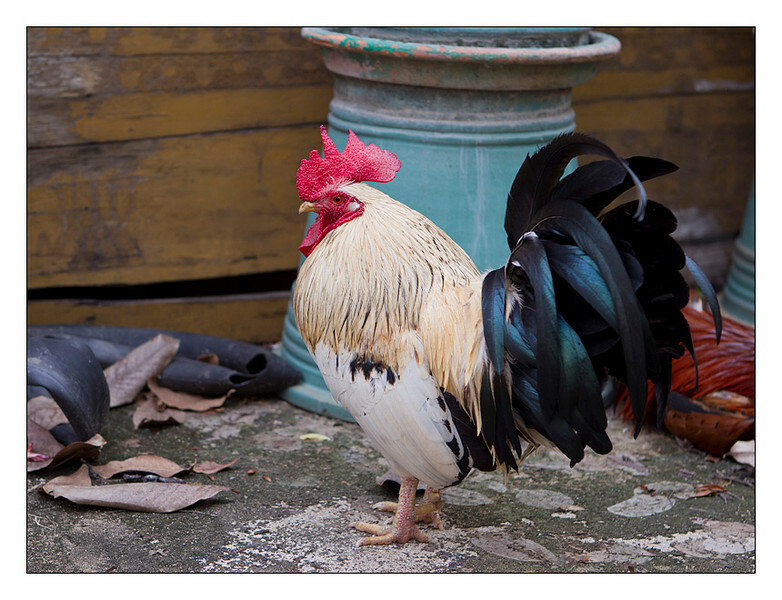 I made friends with a chicken! 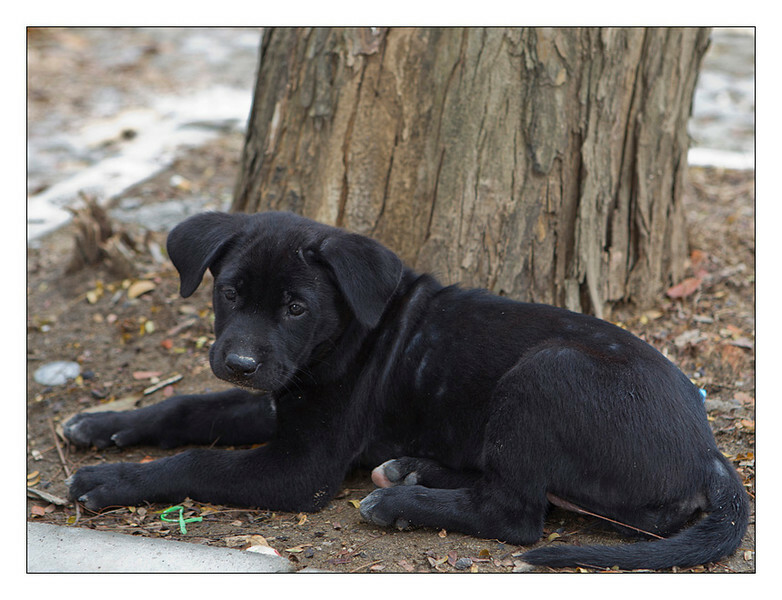 And I made friends with a puppy too! After our tour of the community and viewing their traditional arts we departed the island by the same ferry that brought us and were returned to our hotel. After resting for a while we decided to venture out to find dinner. 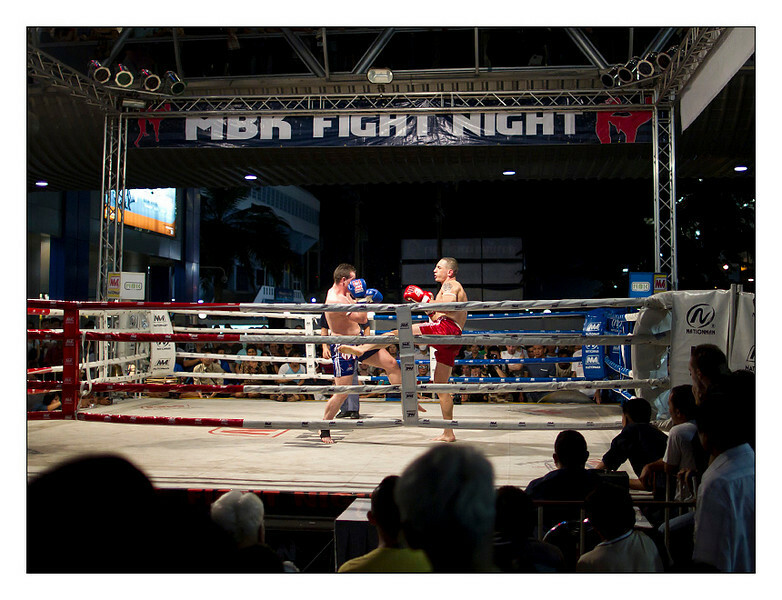 Being rather exhausted we opted to stick near our hotel and on our way back there was an outdoor muy thai match. Obviously we had to stop for a few minutes so I could take some pictures. 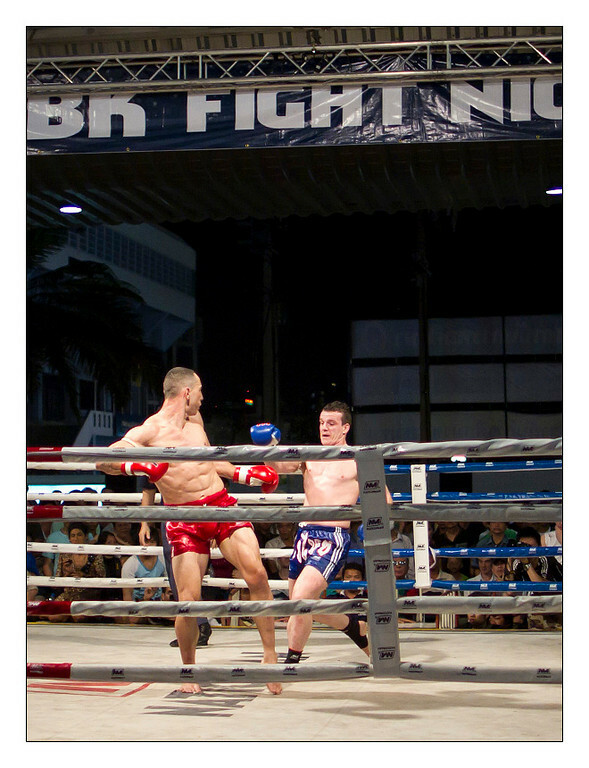 Apparently we watched round five of two guys beating eachother. I had to wade through a sea of people to get close enough for this shot. 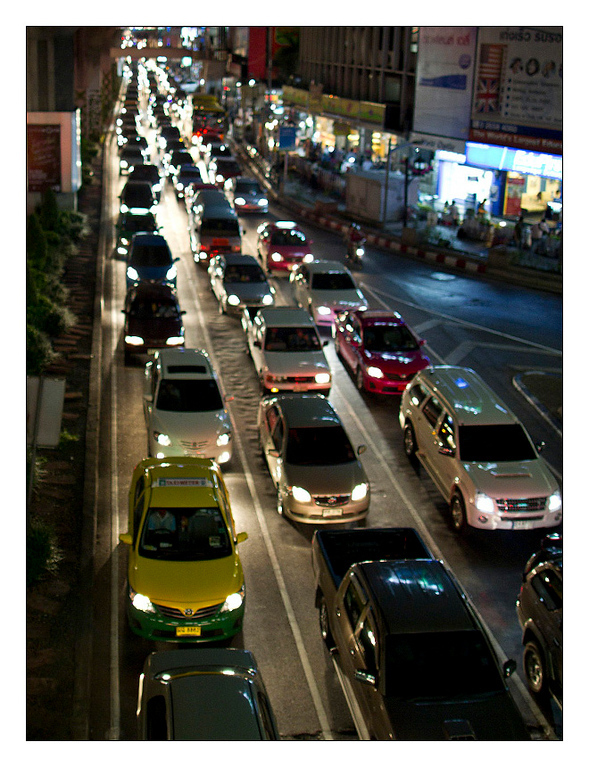 The very reasonable Bangkok traffic. After our long day for exertion we returned to our hotel and decided to call it a night. 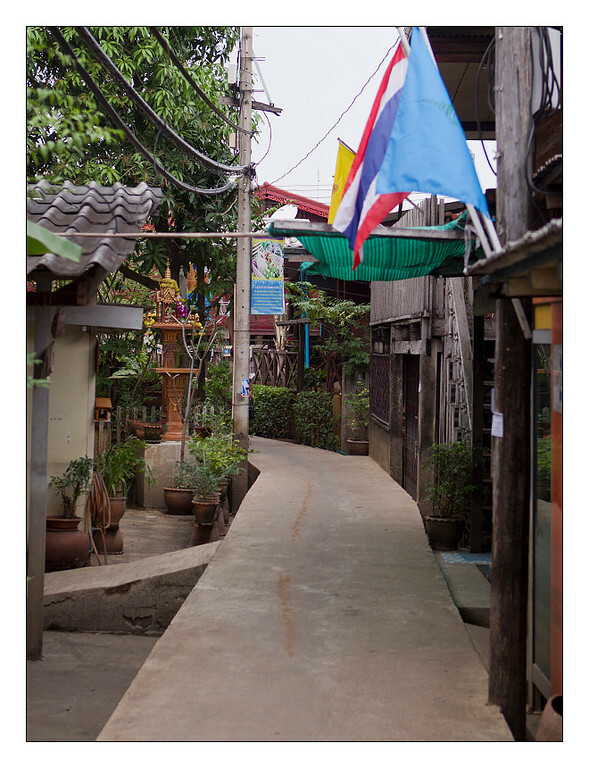 Tomorrow we depart Bangkok for Chiang Mai!